We’ve been keeping tires in stock for several years. Now we’ve collected mount and balance equipment (gorgeous Hoffman machines that were inexpensive, purchased second hand), a modest tire rack, and the accoutrements (valve stems, weights, etc) so we can perform tire replacement in house. This is hybrid land: very specific, nothing fancy. We charge $25 total for mount/balance and fees. We maintain a big pile of these tires as they move quickly; very popular, a really nice match for the car. 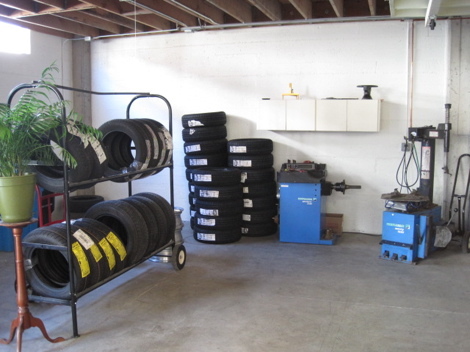 We also keep a small selection of used tires in this size, ones with 50% tread life or so, for certain circumstances. Because of its relative weight (HV battery and motors in a small package) max pressure rating is critical on this model, to 50psi. Otherwise the tires will not last. Higher pressure also increases fuel economy. The Dunlops are a less expensive alternative to the Bridgestone Potenzas (which we no longer carry). Ownership cost is the name of the game with Gen 1s. Again, owners of older model hybrids (the Gen 1 Civic in this case) are looking for value and these tires hit the mark. Dunlop provides competitive prices without compromising the quality to maintain good fuel economy. The Gen 1 Insight, like the Gen 1 Prius, needs a very specific tire that can be inflated high to last. The Potenzas come in the right size, are the stock equipment, and maintain MPGs: the primary reason people drive these classics. LG orders from the Tire Rack and Goodyear wholesale. Our prices are competitive with most full service shops (or lower), but not with Big O or Costco. We are not tire dealers who buy by the truckload. Likewise we do not offer lifetime tire repair or other gimmicks to sell you brake jobs or more tires. Nothing’s free! 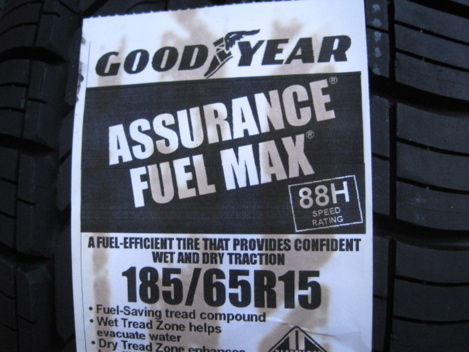 But the person willing to compare prices or order their own tires will often come out a little better. Go for it! We will still install any tire for $25 out the door.